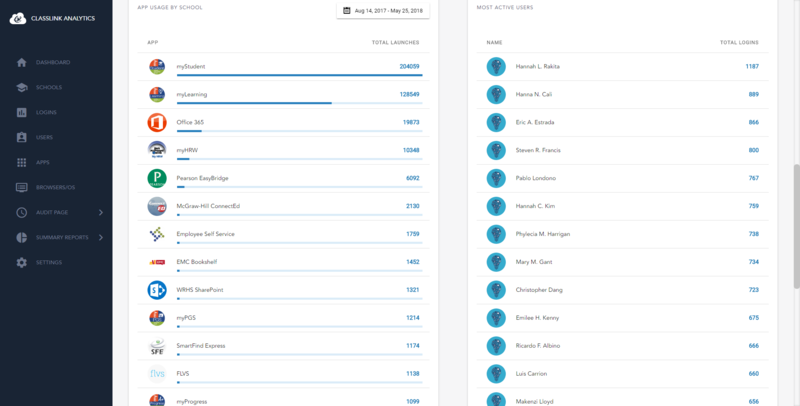 You can view statistics of individual schools. The new Schools tab provides an overview of the schools in your district. It will list all of the schools, their total logins, and a small monthly logins graph. Note: The school's tab requires the use of the ClassLink Roster Server. Clicking on a school will give you more detailed information, including total and unique logins for teachers and students, most active users, and app usage. 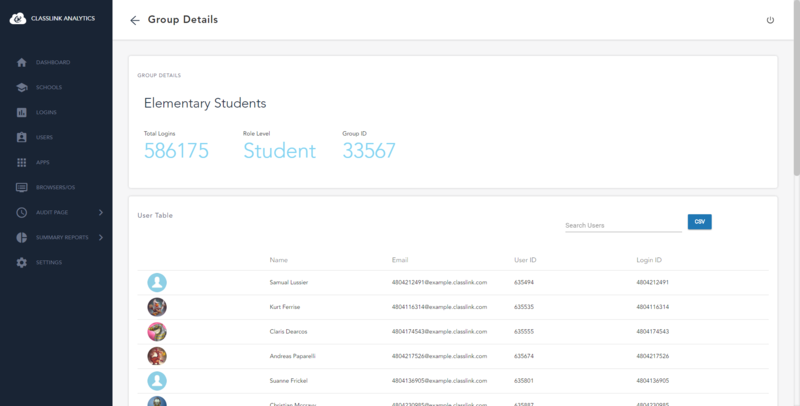 The Application details view now shows total and unique logins for students and teachers, and app usage by day, school, and group. 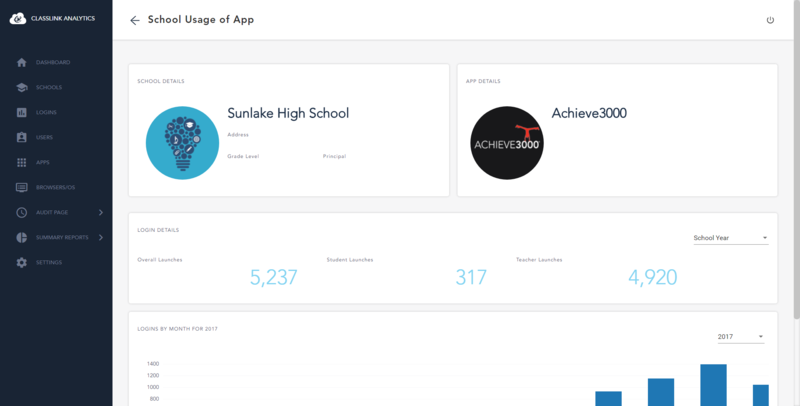 In addition, the new Schools tab allows you to see an individual school's app usage. Clicking on an app will show more information on that app's usage for that school. Clicking on a group will now give information on the group's logins, role level, ID, and members. Clicking on a user will now show what school, group, and role they are assigned to.